On the Corner of East 9th Street and Euclid Avenue sits the historic Cleveland Trust Rotunda Building, a shining example of early 20th century grandeur giving us a glimpse into Cleveland’s historic past and current home to Heinen’s Grocery Store. At the turn of the 20th century in the midst of great industrial and economic growth, Cleveland experienced tremendous prosperity, quickly growing to become the 7th largest city in the nation. In 1906 the Cleveland Trust Company, having outgrown a series of office spaces, began construction on a central banking complex in the heart of the city. Renowned architect George B. 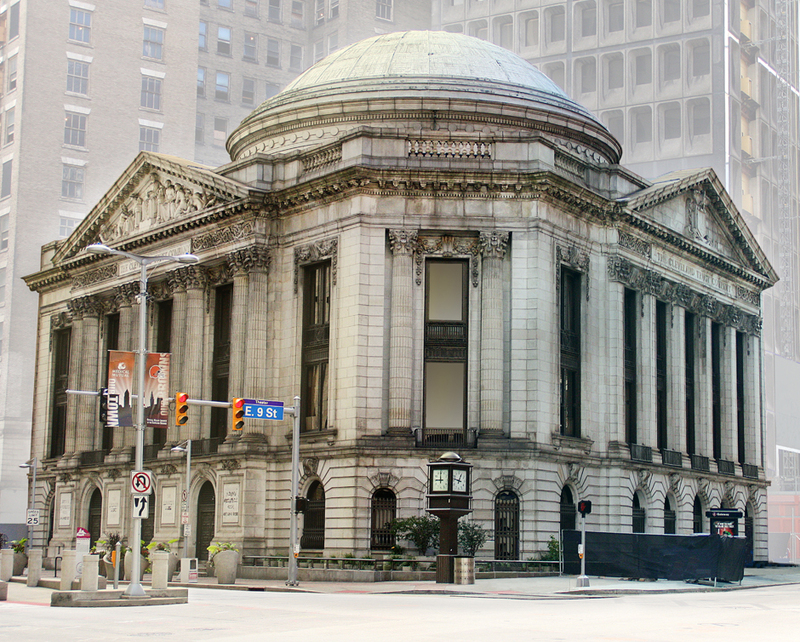 Post was commissioned to design the building that would become the home of the Cleveland Trust Company and eventually one of the most recognizable and iconic buildings in Cleveland. In 1908 the Cleveland Trust Company building officially opened its doors to the public, just two years after construction had begun. The Cleveland Trust Co., or AmeriTrust Bank as they were later known, occupied the space until merging with Society Corporation in the early 1990’s. Today, this masterpiece of modern architecture is home Heinen’s Grocery Store, Cleveland’s oldest family owned grocer, and once again open to the public.